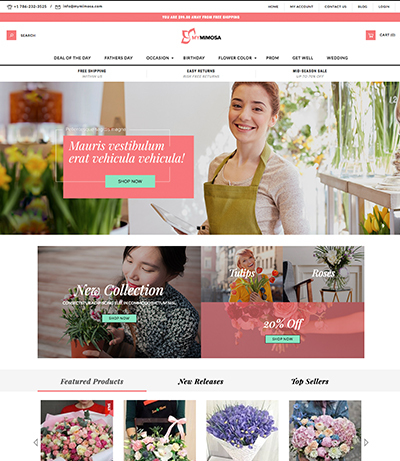 If you want to share your knowledge and passion for gardening with the world, then starting an ecommerce store is one of the best ways to do so. Selling tools that have helped you and providing those tools and resources to people who need them are what consumer-centric business is all about. However, when you start your store you will need a website, and building one from scratch is too costly, bug-prone, and is a thing of the past. Luckily, you don’t have to build your own, you can use one of 3dcart’s ecommerce themes to have an SEO ready, mobile responsive store in a matter of days. Browse our themes below and get your gardening website up and running. We make it really simple for you to get your gardening shop up and running in no time, here is how the 3dcart process works. If you haven’t already, sign up for your free 15 day trial of 3dcart. During this time you will be provided with a backend login to your eCommerce store so that you can begin diving into the backend. These 15 days will give you the ability to see what 3dcart can do, and how you can use the tools available to you to grow your ecommerce businesses. During the 15 day trial, you’re provided with more than enough time to build out your store. This will give you the ability to design out your website and see exactly what it will look like with your efforts. At this point, you will know what you need to do to improve it or if you’re ready to launch! When building your store you will want to pay special attention to your products. Ensure that you have good product photos and take time on creating your descriptions. Keep both the customers and the search engines in mind when doing so. Also, make sure to write with an appeal to gardeners, as that will be your target market. One thing you will want to have figured out is your payments and shipping. Customers that have a good experience with a store usually come back for more. For this reason and many others, you will want to have a good checkout experience, which involves payments and shipping processes. The good news is that 3dcart offer over 160 payment gateways and integrates with all of the top shippers out there. This will give you everything you need to provide a great customer checkout experience. The next step is to begin your trial and pick the theme that best represents your brand. 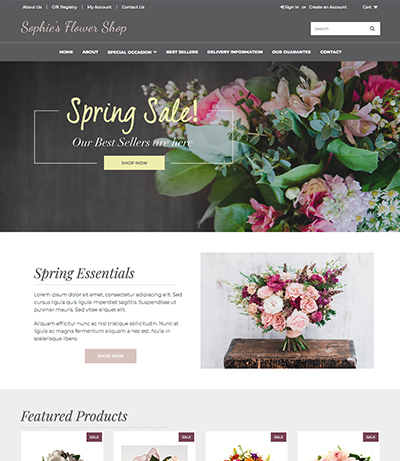 While we have garden ecommerce website templates specific to that industry, you can use any of the themes in our theme store that you see fit for your company. Build your store today!